Girls, your cards were all just wonderful! In fact, everyone's cards were very special this week. And although I didn't choose Lacey's card, you need to check out her blog entry for a very heart-wrenching story. Thanks for playing with me and standing up to the challenge! Make sure you come back tomorrow for Tammy's color throwdown--just wait till you feast your eyes on this one!!! Well you've just made this a spectacular day by featuring my card! This is such an honor and I'm truly humbled. Thank you SO very much!!!! I LOVE the colors! Fantastic card! Congratulations to Carol!!! Awesome card! Everyone's cards were just fantastic. Love them! Well-deserved congrats to all mentioned especially Our Little Inspirations - and inspirational card indeed! 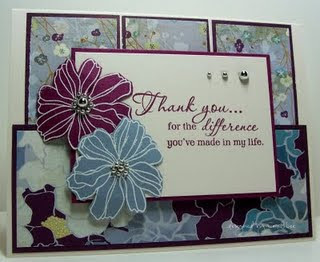 Wow, great choice for the featured stamper today... what a fantastic card! I love it!! 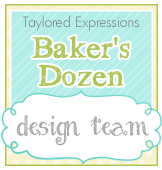 I am honored to be in the top 5 with these talented stampers! Thanks so much!!! Woo Hoo - thank you so much for the "props" - that was an exciting discovery. Of course my card was inspired for our sweet Kristin's BD. Thanks gals for some fun and really out-of-the-box color challenges - I DO get in a rut and you pull me right out of it and throw me on the road to creativity again LOL. What a pretty card - congrats everyone!